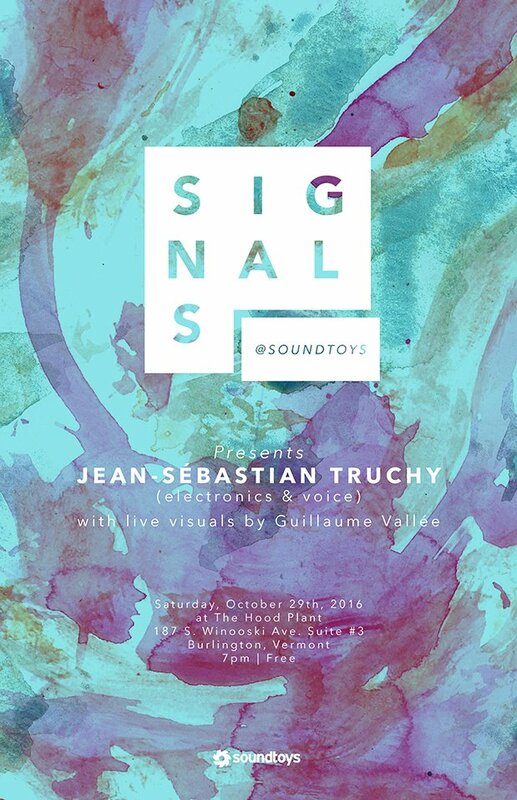 Jean-Sébastien Truchy: Signal @Soundtoys in Burlington, VT.
Signal @Soundtoys in Burlington, VT. Excited to play in Burlington this coming saturday for Greg Davis' series Signal @Soundtoys at The Hood Plant with live projections by Guillaume Vallée. I'll play music from "Neither" (Sicsic Tapes) and from "Transmission..." (Root Strata) as approuved by Charles Barabé (La cohu), and so, it should be a good night! Oh, and it's FREE so hope to see you there!